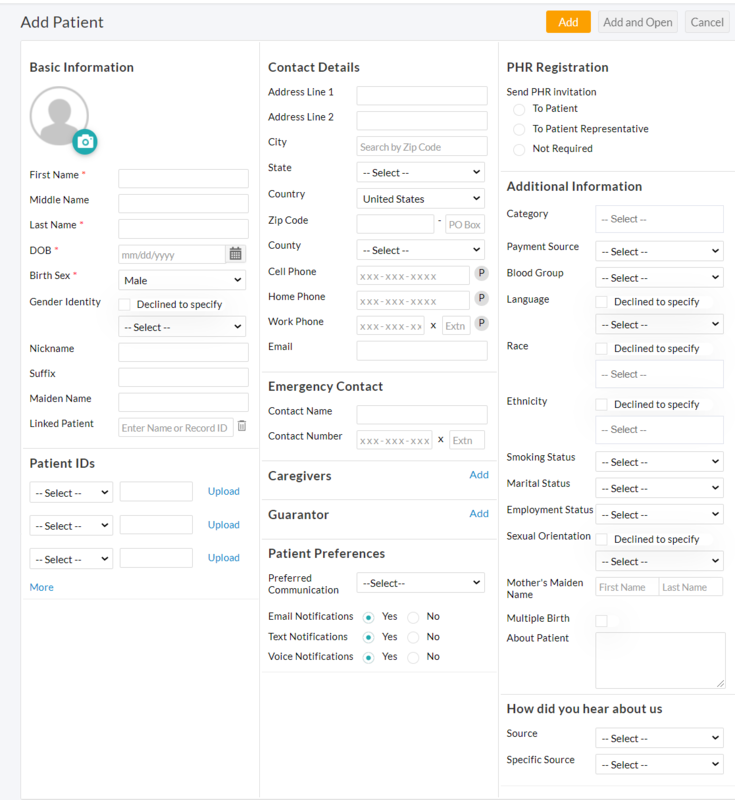 Go to Dashboard > Patients Icon and click on "+ Patient"
Provide "Email" address of the patient under the "Contact Details" section, if you have chosen "Send PHR invitation mail to Patient". Click on "Add" to add the patient. You can also enter other details about the patients like their Past Medical History, Active Meditations, Allergies, Insurance information, etc., by clicking on each of those tabs at the top. If you have a list of patients to be added in bulk, you can use the "Import Patients" option. You need to create a CSV file in the format specified, to use this option.